are you a lover of earthenware? If so then this is something you might fall for. These candles come in some of the most bright Read More..tones which help in giving the entire space a different dimension. It brings with itself the very essence of the earth. 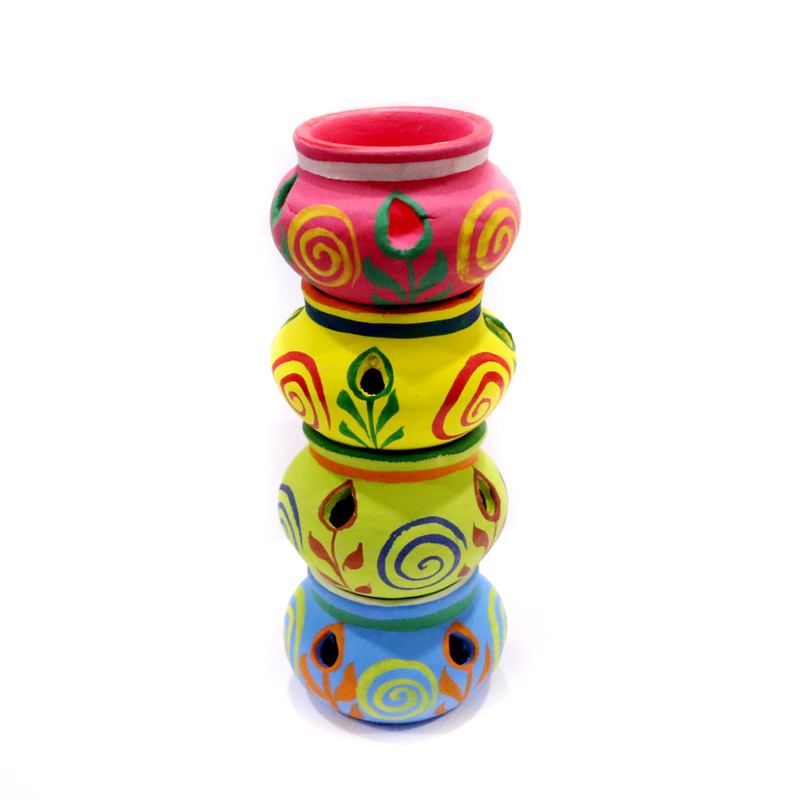 All these matki shaped candles are beautifully painted with artistic caricatures. Show Less..